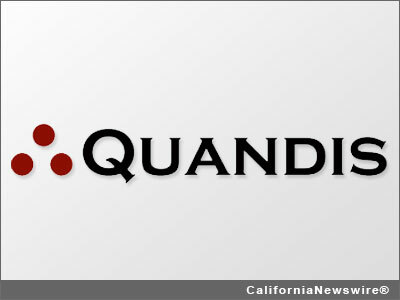 FOOTHILL RANCH, Calif. /California Newswire/ — Quandis, Inc., a leading provider of default management technology solutions, today announced that it has hired technical staff members across the board to prepare for a growing demand for its lending industry SaaS applications. "The industry's need for our solutions has been growing over the past few years and we see it continuing to do so at a steady rate," said Scott Stoddard, CEO of Quandis. "As such, we are taking measures to ensure that we are well-prepared to board new clients and effectively support our existing customers." The company recently added new developers, business analysts, project managers and support staff to help manage the anticipation of new business and also to service existing clients. Specifically, the new hires will focus on Quandis' applications that include its valuation system, short sale portal, skip trace application, default module, military search service, pacer search service, and attorney compliance module, among other custom solutions. In 2010, Quandis relocated to a larger facility in order to prepare for growth and house additional staff members. The company hosts the majority of its clients in the cloud with secure data centers on a software-as-a-service (SaaS) basis. Quandis caters to servicers, default attorneys, lenders, banks, GSEs, collections agencies, outsourced service providers, agents, and other members of the default servicing supply chain. The company provides a wide-ranging breadth of Web-based, configurable solutions that integrate seamlessly with disparate applications. Quandis' management team is comprised of business people and technologists who possess deep experience in the default servicing sector of the mortgage industry. Founded in 2003 and headquartered in Foothill Ranch, Calif., Quandis is a default management software provider specializing in Web-based solutions for the lending industry. Quandis' solutions include foreclosure process automation, short sale portals, skip tracing systems, a valuations hub, military search services, bankruptcy status searches, collection solutions, default modules, attorney compliance modules, vendor solutions, as well custom application development. The company's clients range from lenders to banks, servicers, foreclosure attorneys, GSEs outsourced service providers, and agents and brokers. With over 20 years of experience in developing solutions, Quandis understands the unique requirements necessary to deliver enhanced workflows and business-to-business communications. Quandis was named a Mortgage Technology Top 50 Servicer Provider three years in a row.